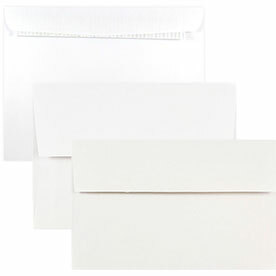 Get down to business with our White & Manila Commercial Envelopes! When you want to make a professional statement in your mailing, these are certainly the envelopes for you. With either classic white or manila brown, you'll find that covering your confidential work documents is just as important as the files themselves. We've categorized by style and size to make sure that your choice is easy to navigate through. 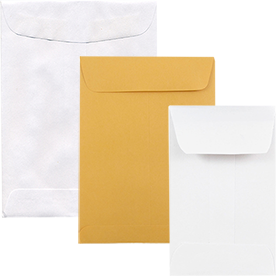 Our White & Manila Coin, Policy, & Open End Envelopes are perfect for any kind of situation. From storing your small valuables in our Coin Envelopes, to mailing your business documents in our Policy Envelopes, even to organizing your home office with our Open End Envelopes. 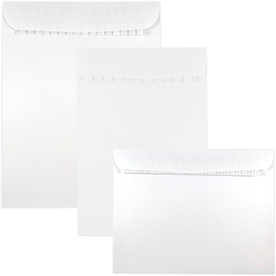 Our White & Manila Commercial Style Envelopes are the best envelopes for your business. 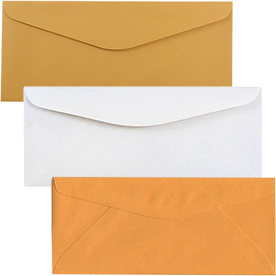 Our #10 Envelopes, the most common used for business, come in regular and window options. So your invoices, advertisements, and reports will look professional even before they're opened. Most of these envelopes come equipped with a gum closure, but if you're looking for something different you'll want to try our White Peel & Seal Envelopes. In over ten sizes ranging larger than 6 x 9, your confidential files won't have to be bent in order to stay professional! And the self-adhesive closure is great for making any content secure. Go business or go home with our Commercial Envelopes today!